It's been months in the making, but this Thursday evening sees the T3 Awards 2018 quite literally 'mash up' the Ministry of Sound. This mega celebration of tech is in its 12th year and, like T3 itself, it's bigger and more diverse than ever. Here, we announce the products that blew our judges away (literally) in these categories: Best Gaming Laptop and Best Gaming Accessory. It would be hard to suggest that this year's competition in both categories wasn't incredibly fierce. There can be only one winner in each category though, so without further ado, let's see which products came out on top. T3 was blown away by the ASUS ROG Zephyrus on review this year, with us falling in love with its massive power, innovative design, and amazingly quiet cooling system. The fact that the system also sported an ultra-thin Nvidia Max-Qbuild, which allowed a monstrously powerful GeForce GTX 1080 GPU to be tucked inside its super slim and lithe chassis, was truly a head-turner, too. Cracking benchmark scores in 3DMark, which come courtesy of an all-round quality hardware package that also includes an Intel Core i7-7700HQ Quad Core GPU, as well as a really neatly engineered hinged base, which creates a 6mm gap to aid cooling and deliver its remarkable quiet operation, merely sealed the deal. A worthy leader of our best gaming laptop guide, the ASUS ROG Zephyrus is a simply brilliant gaming laptop that leaves practically nothing to be desired. We absolutely abhor bad audio reproduction here at T3.com and so we hold the highest standards when recommending the best gaming headsets on the market to our readers. With the SteelSeries Arctis Pro Wireless, it took mere moments to realise we were using something very special indeed, and after rigorous testing we came away jaw-droppingly impressed. 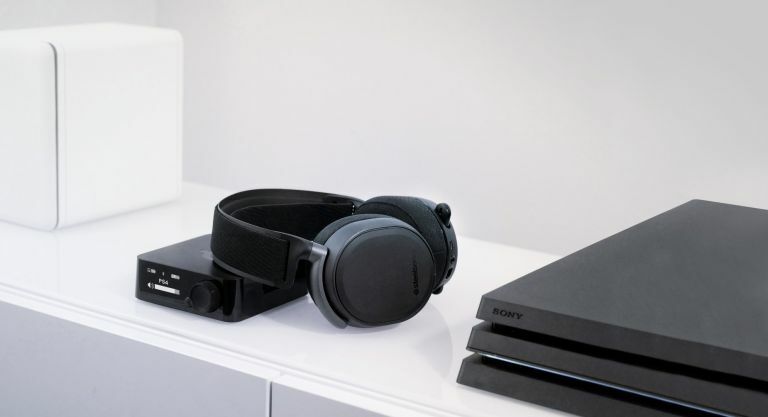 The SteelSeries Arctis Pro Wireless delivers simply the best audio experience in its class for PS4 and PC gamers, with the headset not only featuring a dual-wireless audio system that allows for both 2.4G and Bluetooth connections simultaneously (meaning you can listen to music or chat while gaming), but it is also comes packing Hi-Res capable speaker drivers and lossless audio. Throw in the fact that the headset sports a 12m range, a really solid, well-built wireless transmitter, premium and lightweight aluminium construction, and a very handy, swappable battery system that should mean you never run out of power if used right, and it's easy to see why our judges were blown away. For taking in-game audio to new levels of fidelity we solute the SteelSeries Arctis Pro Wireless.